Two of my favorite blogging ladies sent me these yesterday. 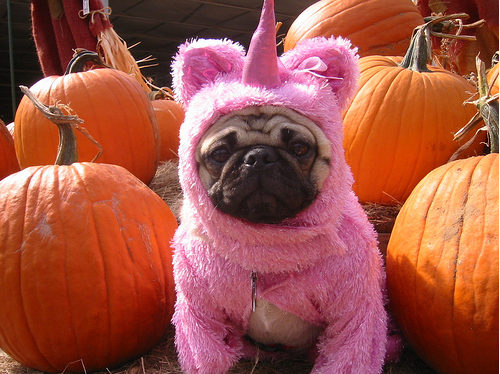 Beth, from Chinoiserie Chic, sent this darling pink unicorn pug from this fun blog post about pink pumpkins. 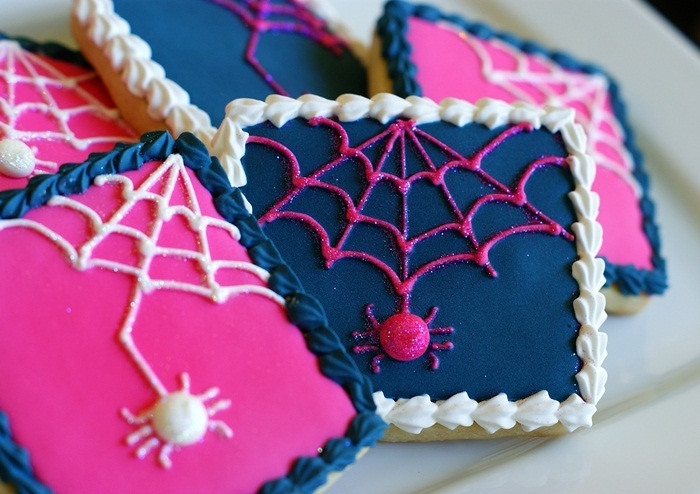 And Raina, from If the Lampshade Fits, knew I'd love the pink and blue of these adorable Halloween cookies. See all about how to create them here.